This tool offers the option to edit multiple applications of your project simultaneously, where you can define value for various common attributes for these applications. See below how to use the express edit. This tool can be accessed from the menu Tools > Edit Express. Firstly, we need to inform which applications we want to edit. All - All the applications existing in the project without exceptions, will be edited. Select Applications - All the applications existing in the project will be listed, so that you can select the applications that you want to edit. After selecting the applications, you will need to define the modifications that you want for those applications. In this page, we can define how the modifications will be applied. 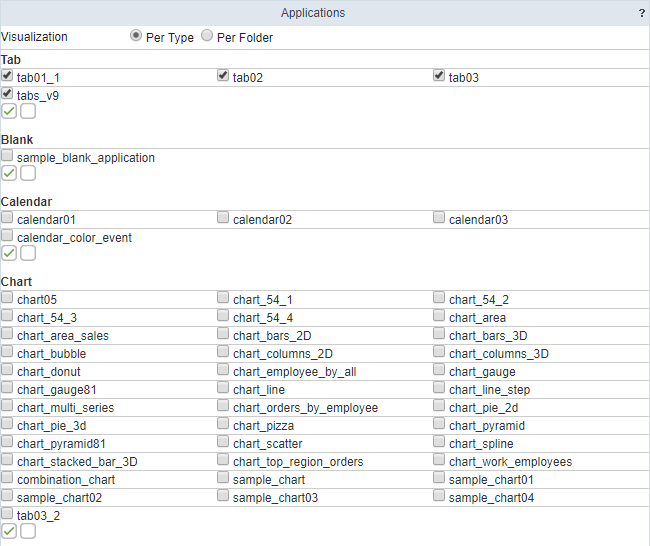 This option allows to apply the same configurations, to all the selected applications, automatically. Header Image - Define the image for the header of the applications. Use Security - Define the use of security on the applications of the project. Enable direct call by URL - Allow the applications to be called directly by the URL. Remove the HTML tags - Defines if the HTML code stored in the database will have the HTML tags removed for display. Language - Applies the selected language for all the selected applications in the project. Connection - Apply the desired connection (Connections created in the “New Connection” module) for the applications. Connection for fields - Apply the desired connection (Connections created in the “New Connection” module) for the fields in the applications. Theme - Apply the desired Theme (Only the ones included in the Project properties) to all the applications. 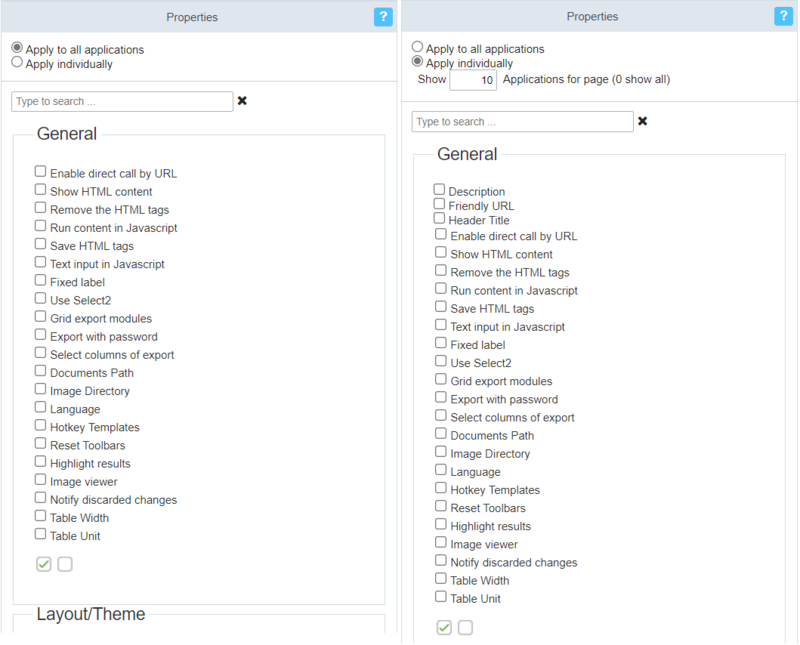 Template - Change the Header and Footer template of the applications. After selecting the modifications that you want to do for all the select applications, It will be displayed a list with all the selected attributes that will be listed for modification. This option allows you to apply the modifications individually for each application selected. This option contains, not only the previous attributes, but also three exclusive attributes. Description - Apply a description individually for the selected applications. Friendly URL - Apply a friendly URL individually for each selected application. Title - Apply the title individually for each application. After selecting the modifications individually for all the select applications, It will be displayed a list with all the selected attributes that will be listed for modification. When you apply the modifications, It will be displayed a list of the applications that were modified.